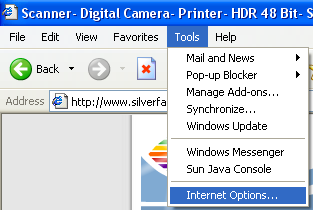 Open "Tools >> Internet Options". Choose the desired security level with the controller. You can choose betwen "accept all cookies", "low", "medium", "medium to high", "high" and "block all cookies". "Medium" is the default value. If you have chosen "low", "medium", "medium to high" or "high" you can explicitly define websites the security level shall not apply to. Click on "Sites" to define. 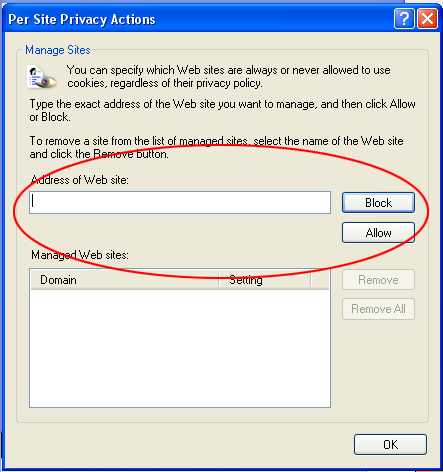 In the next dialogue box you can define whether a URL will always be allowed or blocked, independent of the general security level. Click on "Apply" and "OK" to update your changes. 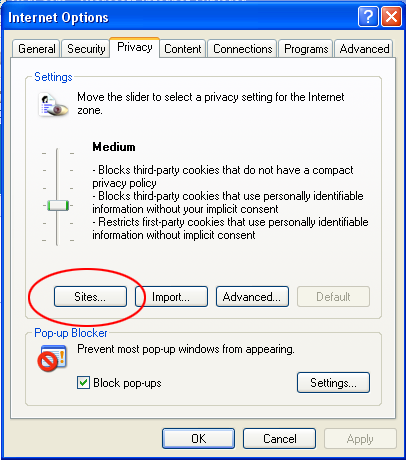 To delete all cookies choose "Tools >> Internet Options" again. 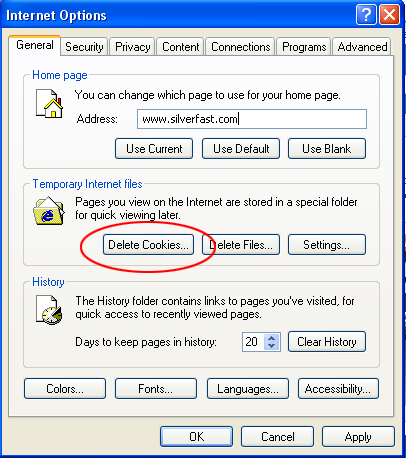 At "General" you will find "Delete Cookies".